Lecture: "Is Art Boring? 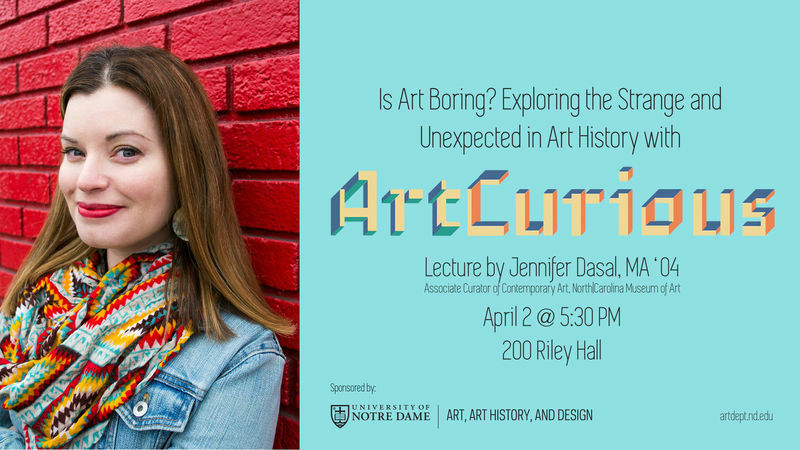 Exploring the Strange and Unexpected in Art History with ArtCurious"
Jennifer Dasal MA ’04, associate curator of contemporary art at the North Carolina Museum of Art, will give a lecture titled, “Is Art Boring? Exploring the Strange and Unexpected in Art History with ArtCurious.” This lecture is free and open to the public.